Call Master Plumbing today, and we will make sure those mildly irritating “quirks” don’t become full-blown problems. Take a second to think about the plumbing in your Kensington home. Is everything running and draining properly? Are there any strange noises or decreases in water pressure? To you, these might be small, mild irritants. 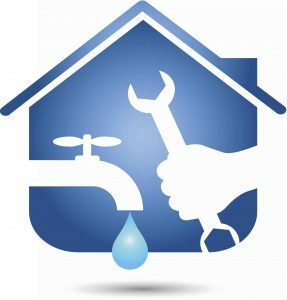 To your Kensington plumber, they are all issues that you need to address right away! Call Master Plumbing today, and we will make sure those mildly irritating “quirks” don’t become full-blown problems. There’s not much that is more annoying than a constant “drip, drip, drip” coming from your Kensington Faucet. That dripping is super annoying, and it can cause your water bill to skyrocket. It might seem like an insignificant amount of water, but that little drip can add up to hundreds of gallons per year just running down the drain. Call in the professionals at Master Plumbing. Our courteous technicians have all the tools and training they need to get that leak fixed right away! If you’re in the shower or washing the dishes and you notice that it’s taking a bit more effort to get all the soap off, you may have a decrease in your Kensington home’s water pressure. A decrease in water pressure can be caused by any number of things, so give the professionals at Master Plumbing a call and we will figure out what’s causing the decrease and get it fixed up. We’ve all been there, or been to a friend’s hose, when you need to jiggle the flusher handle on the toilet to make it stop running. But what if you’ve jiggled it and it doesn’t stop? Master Plumbing can help get your Kensington toilet up and (not) running again! Leaking pipes can cause all sorts of problems, not only for your plumbing, but for the structure of your Kensington home. If you don’t notice a leak right away, the water damage can weaken the structure of your home. Plus, it’s just plain messy and who wants to have to deal with that.